For many retired Americans, Social Security is a critical source of income. Data from the Social Security Administration finds that more than three in five retired workers rely on Social Security for at least half of their monthly income. Who's to thank for Social Security's stability over the past eight decades? 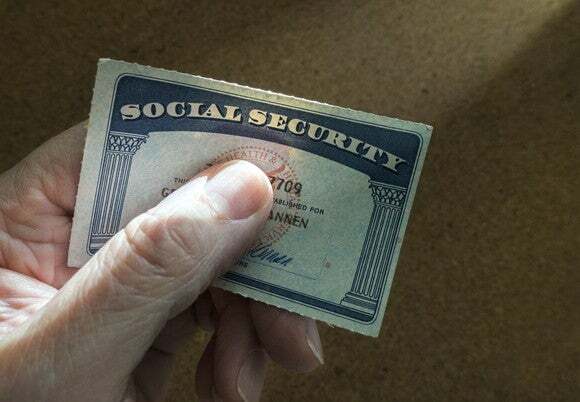 Look no further than the original architects of Social Security in the mid-1930s, as well as the Reagan administration in the 1980s, which passed major amendments to the program in 1983. The 1983 amendments included an acceleration of payroll tax increases, which generated more money for the program, the introduction of taxation on Social Security benefits if individuals and couples filing jointly earn more than $25,000 and $32,000, respectively, and a gradual increase in the full retirement age. In the 34 years since the Reagan administration passed the 1983 amendments, Social Security's Old-Age, Survivors, and Disability Insurance (OASDI) Trust has seen its asset reserves at the end of the year grow from a meager $24.9 billion to $2.85 trillion as of the end of 2016. In fact, between 1998 and 2009, Social Security's payroll tax revenue, taxation of benefits, and interest earned on its excess cash generated between $107 billion and $190 billion in added asset reserves per year for the OASDI. The last time Social Security paid out more in benefits than it generated in revenue was 39 years ago, in 1981. But according to the 2016 Social Security Trustees annual report, the program will begin paying out more in benefits than it's generating in revenue by 2020. Over the past four years, the net increase in asset reserves at the end of the year has shrunk to a range of $23 billion to $35 billion following more than a decade of more than at least $107 billion net increases in the annual reserve. Why the sudden switch from budget positive to negative, you ask? It's actually a confluence of factors. The most obvious reason why we're seeing a reduction in the program's annual net OASDI increase is the ongoing retirement of baby boomers from the workforce. Social Security's architects in the 1930s could never have predicted the surge in baby births following World War 2. As boomers leave the workforce, the worker-to-beneficiary ratio suffers, meaning there aren't enough new workers to cover the benefits being paid out to newly retired boomers. Second, we've witnessed a steady increase in life expectancies over the past five decades. According to data from the Centers for Disease Control and Prevention, life expectancies have risen by roughly nine years over the past 50 years. This, along with a slower increase in the full retirement age, has allowed seniors to draw a payment from Social Security for a longer period of time. The finger of blame can also be pointed at the wealthy. The well-to-do tend to live substantially longer than lower-income Americans, which is a function of their higher income giving them access to medical care, including preventative care. This means the rich are able to draw a payment from Social Security (a higher payment than the average American) for an extended period of time. According to the Trustees' report, should Congress fail to present a "fix" for Social Security, an across-the-board cut in benefits of up to 21% may be necessary to sustain payouts through 2090. The Trustees were also very clear in their report that the longer Congress waits to act, the tougher it could be to fix Social Security for future generations. In 2016, the actuarial deficit came out to 2.66%. In plainer terms, it means the payroll tax, which is currently 12.4% and often split down the middle between employers and employees, would need to increase by 2.66% to 15.06% to cover the budgetary gap through 2090. If it waits until well after the asset reserves are exhausted, the actuarial deficit could jump to nearly 4%. You might be thinking that Congress doesn't have the slightest idea on how to fix Social Security for the long run, but it does. There have been well over a dozen proposals to strengthen this critical program for the long term. The issue is that Republicans and Democrats both have workable solutions, so neither party is willing to back down. The Republican solution primarily involves increasing the full retirement age, or the age at which you become eligible to receive 100% of your Social Security benefit. By 2022, the full retirement age will have risen to 67 years, albeit it will have moved higher by just two years over the previous four decades. Republicans would like to see a gradual increase in the full retirement age to 68, 69, or 70, which would coerce seniors to either wait longer to receive their full benefit or to retire earlier and accept a steeper permanent deduction in benefits (benefits increase by an average of 8% per year, beginning at age 62 and ending at age 70). The Democrats' solution revolves around the idea of increasing the maximum taxable earnings cap. Right now, earned income between $0.01 and $127,200 is taxed at the aforementioned 12.4% rate, while earned income above and beyond this point isn't subject to Social Security's payroll tax. Democrats would like to see the maximum taxable earnings cap removed entirely, or reinstituted at a higher level, such as $250,000, as an example. Since eliminating the cap entirely would only impact about 10% of all workers, and a majority of workers are already paying tax on every cent they earn, it's among the most popular solutions with the public. A long-term fix that strengthens the program for future generations should contain ideas from both parties, but finding bipartisan support for a Social Security bill is easier said than done.